Here are the top ten things you must bring along on your vacay to Himachal. The weather of Himachal Pradesh and its quaint hill stations remain cold and chilly all through the year. To take care and stand guard against the constant low temperatures it’s important that you carry heavy sweaters, woollen pullovers, gloves and socks and thermal innerwear. These indispensable items will make your trip to Himachal peachy and pleasant. 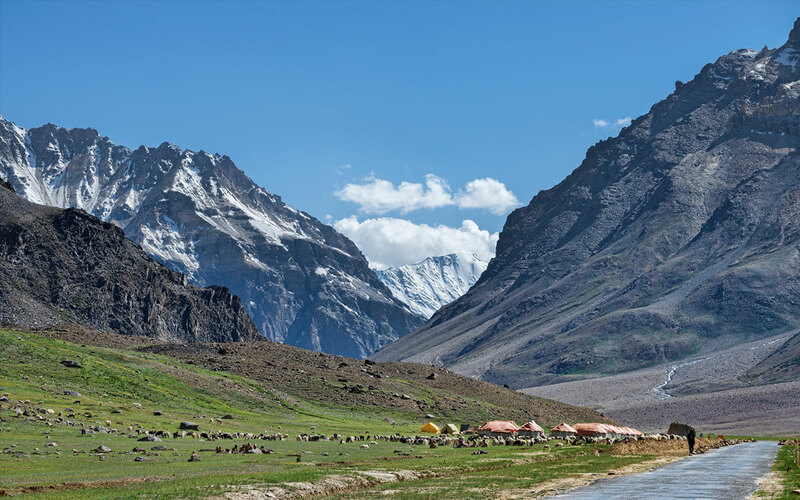 While embarking on adventure trips in Himachal, know about the place in-depth. Carry essentials like torch, foods like dry fruits, energy bars, packaged food, water, toilet paper, mosquito repellant, match box or a lighter. Taking a thermos along is recommended because of freezing water in the high altitudes. Because of the extreme coldness, the weather is unusually dry and can parch your skin too much and wrench out its inherent moisture. So make sure you carry moisturizing lotions enough to keep your skin hydrated and lively. Generally children are more prone to skin dryness in cold weather. Also sunscreen lotions are vital to the same extent. Snow usually reflects the sun rays. So wear a sunscreen to help protect your skin when you travel outdoors. Just the way, a sunscreen looks after your skin; a pair of cool dark sunglasses can keep your eyes safe in addition to perking up your looks. The sunlight can be hard-hitting at times in spite of the all-pervasive cold weather. Ensure to keep your ID proofs like Aadhaar card, voter’s card, PAN card, driving license handy. While traveling to Himachal, there can be occasions when you’re asked to produce them and not having them can land you in terrible trouble. Surely, no one wants stress and tension during vacations. Look, there can be a lot of trekking, hiking expeditions, of course if you happen to be one such aficionado. So shoes/boots that are durable and comfortable to sustain the rough mountainous terrain are a must. Leave aside trekking; you’ll need to walk a lot while sightseeing. See to it, that proper walking shoes don’t slip out of your mind and belongings. You must carry personal medication. These are not to be missed at all. There are many tourist places in Himachal that are quite far from the main cities. So, medical shops may not be accessible in times of an exigency or to stave off the normal hazard of mountain-sickness. Pack in paracetamol, anti-diarrhea medicines and a thermometer to ensure a healthy and hassle-free holiday. These are all-essential. Who can turn a blind eye to the captivating views of Himachal’s natural endowments? The mountains, lakes and the verdant landscape! Capture pretty-as-a-picture shots with your camera. Carry sufficient batteries as well to keep your device powered up and not flunk when you need it most. Imagine a situation when your phone conks out after getting fully drained off while on-the-go. Nothing could be more worrisome than this in a new place. That’s why keeping a fully charged power bank and charger are mandatory. There’s nothing more important that staying in touch with your loved ones at a distant new place. One of the basic travel tips for touring Himachal Pradesh is to be adaptable, polite and respectful to the people around. An easy-going and welcoming nature is what everyone looks for. Yet at the same time, maintain a subtle distance and enjoy your own privacy.